We met some of the team from Lean Machine at IMTS 2018, and were fortunate enough to interview them to get an insight into the ways in which they are utilizing their Markforged printer. Lean Machine is a metal fabrication shop in Saskatoon, Canada. The company started in 2006 as a machine shop, but now offers steel and aluminum-fabrication as well as a multitude of other manufacturing services and solutions. 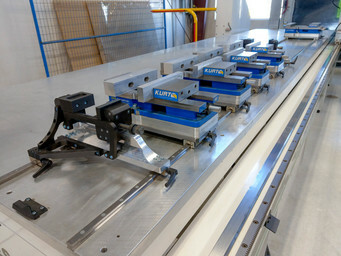 Engineers at Lean Machine had to turn down jobs because the tooling required for the job was often more expensive to produce than the end product. 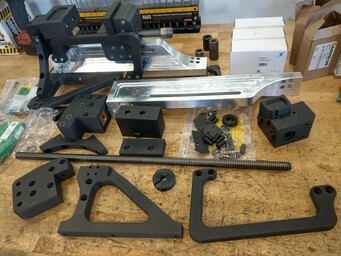 They needed a printer capable of producing strong mechanical composite parts for jigs, fixtures, workholding, and other applications. 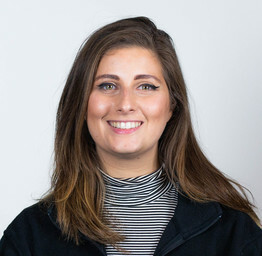 The team researched extensively to find a printer that would work best for their needs, and decided on the Mark Two for its accuracy, cost effectiveness, and continuous carbon fiber material. “It’s perfect. We were blown away by the accuracy and we were blown away by the mechanical performance of the parts,” said Josh Grasby, R&D manufacturing engineer at Lean Machine. 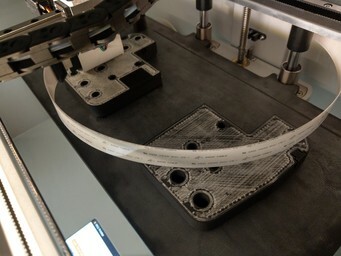 Since they purchased the Mark Two, Lean Machine engineers have embraced designing for additive manufacturing (or DfAM) instead of designing parts in traditional ways. 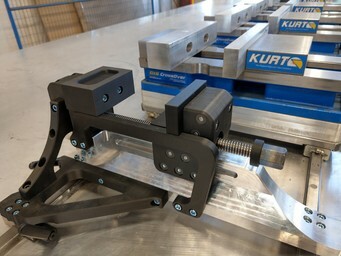 From bending tools to soft jaws, the team can now quickly solve problems without putting a load on their machining department. “I don't think there is a work center in our shop that we haven't already printed parts for,” said Josh, laughing. After just four months with their Mark Two, Lean Machine has discovered numerous unexpected benefits. One such benefit is the ability to put a threaded rod through a part and put fasteners on the rod, as well as adjust the geometry of the part at a later stage for crowning. “We discovered that by accident,” Josh said excitedly, “and we’ve had so many accidental discoveries that are just blowing our minds.” Josh and the team are now thinking about how to make parts in a different way. Instead of always going down the subtractive manufacturing route, they are considering additive manufacturing first. “We’ve actually been able to take jobs that we couldn’t before.”said Josh. 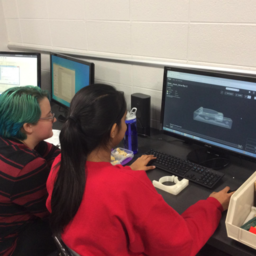 Alex Larson, teacher at Palatine High School, explains how Markforged has expanded his students' learning experience in the classroom. 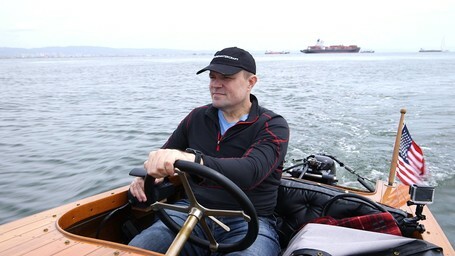 Pure Watercraft in Seattle is an electric boat motor company. 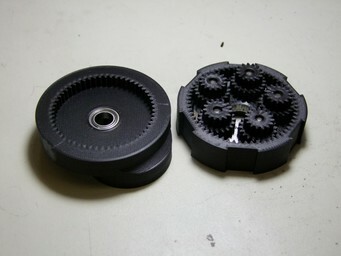 Read how they 3D printed throttles for their beta tests.